If the Wizards were in the middle of a mini slump last week, they seemed to do a good job of breaking of out it, especially with their 115-86 convincing victory over the Bucks tonight at Verizon Center. John Wall led the way for the Wizards with 19 points and 9 assists and looking like the leader of the offense as he was for the first week of the season. 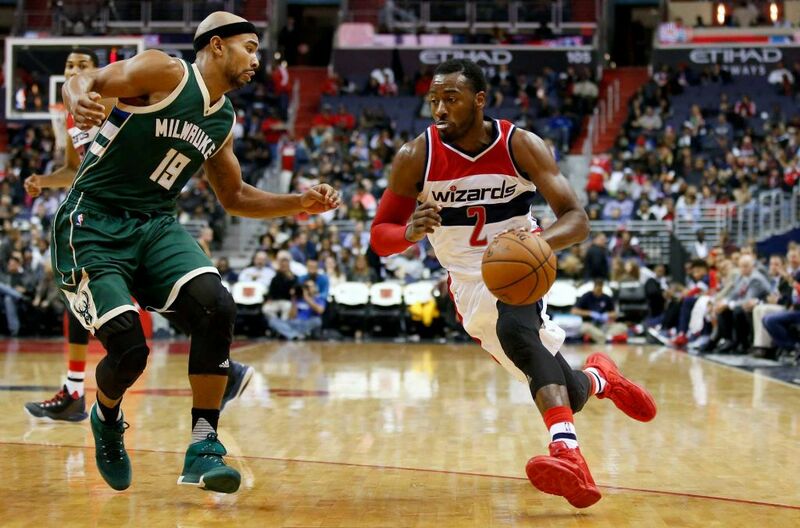 “When they made their runs, we stepped up and made some shots,” Wall said. Washington took control in the last 8 minutes of the second quarter and outscored the Bucks 28-8 to take a 64-46 lead into halftime. The Bucks went on a 20-8 spurt of their own in the first 7 minutes of the third to cut the margin to 72-66, but got no closer. Next up for the Wizards is the Detroit Pistons on Saturday night.